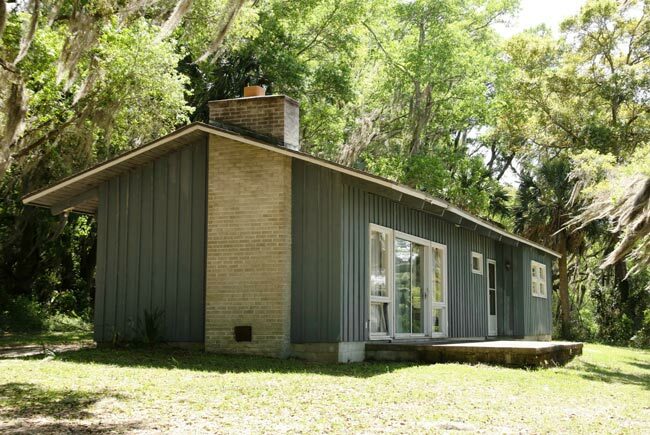 The Frissell Community House (pictured below) within the historic Penn Center is one of several buildings still utilized by the St. Helena Island cultural center. The center was founded in 1862 as the Penn School, one of the country’s first schools to serve freed slaves. Two missionaries from the North, Laura M. Towne and Ellen Murray, established the school as part of the Port Royal Experiment, a government program that taught newly-freed slaves to manage land abandoned by former plantation owners who fled the area during the Civil War. 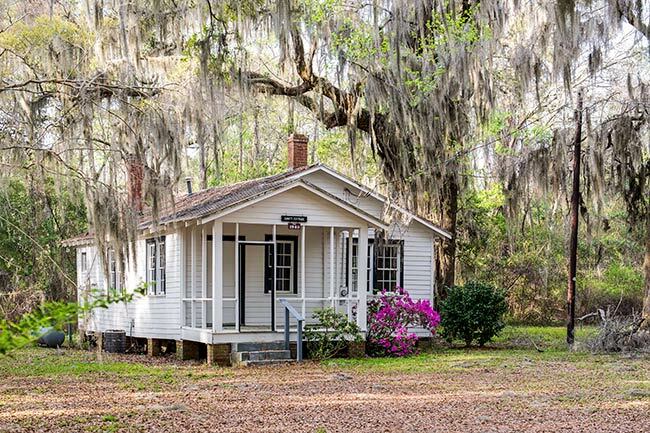 The school first met in the abandoned Oaks Plantation home before it outgrew the space and relocated to nearby Brick Church and, finally, to its current location. The school evolved with the times and in 1901 incorporated an industrial arts component similar to those at the Tuskegee Institute in Alabama and the Hampton Institute in Virginia. At this point the school became known as the Penn Normal, Agricultural and Industrial School. Towne died that same year, but before her death she secured the future of Penn School by recruiting Dr. Hollis Frissell of the Hampton Institute – now Hampton University – to take over sponsorship of the institute. Dr. Frissell transferred two of Hampton’s teachers to the school to continue Towne’s work, further enhancing the reputation of the school as a leader in both vocational and academic education. This building was named for Frissell and constructed in 1925 as a meeting space. In 1948 the school closed as the state assumed responsibility for educating black children across South Carolina. 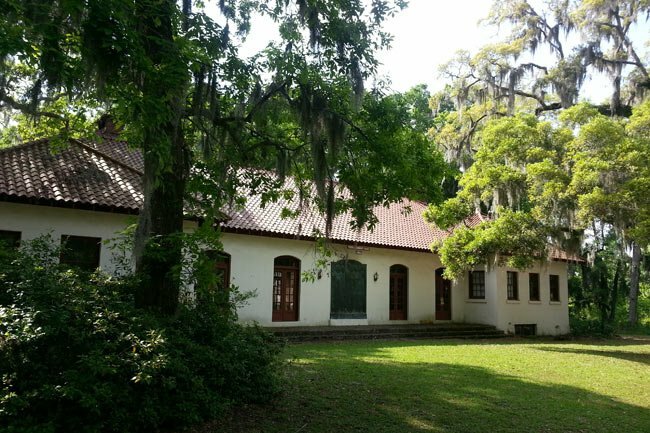 The facility then reopened in 1951 as Penn Community Services and worked towards the goals of preserving the Gullah community and its history. As the country struggled towards racial equality in the mid-twentieth century, the center served as an interracial gathering place for leaders of the Civil Rights movement during a time when blacks and whites were mandated to commune separately in all other areas. Luminaries such as Dr. Martin Luther King, Jr. met here to create solutions to the problem of inequality. In fact, the retreat cottage seen above was built specifically for Dr. King to use during his visits; previously, he had stayed in a smaller, more primitive cabin. Dr. King’s last visit to the Penn Center was in 1967. Sadly, he was assassinated before he was able to utilize the new cabin. During the early 1970s the center took a greater interest in preserving black-owned land from commercial development and established the Land Use and Environmental Education Program to help local landowners retain their property through legal assistance and workshops. Today, the Penn Center has placed half of its 500 acres into the Lowcountry Open Land Trust. Also, thousands of acres of privately owned land throughout St. Helena Island are protected through zoning laws that developed as a result of the work of the Penn Center. In 1974 the Penn Center became a National Historic Landmark District. The Penn Center currently serves multiple purposes and houses the first African-American museum in Beaufort County. It sponsors several programs and events which are open to the public and continues to be used as conference space. (Penn Normal and Industrial School; Penn School) Founded in 1862 as a school for freed slaves, Penn School established a commitment to black education, black welfare, and black heritage which has remained strong for over one hundred years. The school functioned as an educational institution, health clinic, farm bureau, and catalyst for community action, as well as a repository for preserving the island’s unique Gullah heritage and written history. 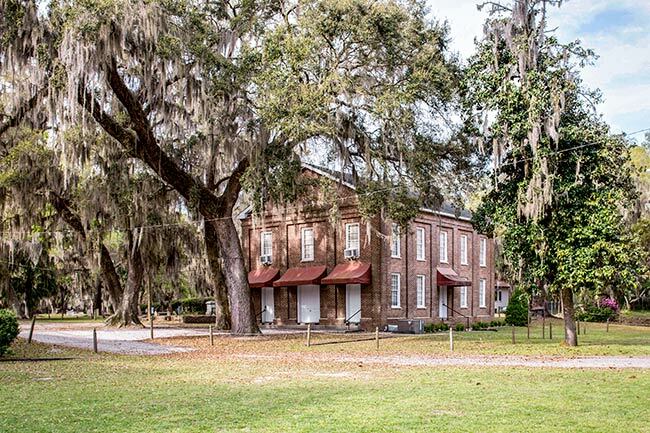 The founders of Penn School were members of a group of northern missionaries and abolitionists who came to the South Carolina sea island following the Union takeover during the Civil War. Education was a top priority, and classes were held in cotton houses, cabins, and deserted plantation houses scattered over St. Helena. The only school of this type to survive was one established by Laura Towne of Philadelphia and her friend Ellen Murray. With the exception of the Brick Church, the approximately 17 buildings on the Penn campus were constructed during the twentieth century and have no architectural significance. The rectangular Brick Church, ca. 1855, is two stories with a gable roof, and is ornamented with symmetrically arranged windows, doors and brick pilasters. 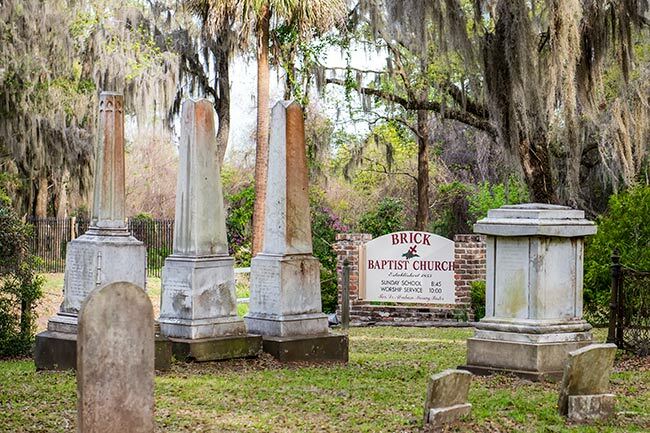 Brick Church was an early location of the first school for free blacks. The rest of the campus is made up of dormitories, administrative buildings, workshops, dining hall, tennis courts, staff housing and health clinics. Although the school was closed in 1948, the community service and cultural preservation functions originated by the school have flourished through Penn Community Services, Inc., organized in 1951.